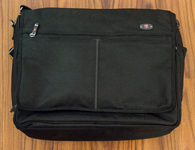 The Bag (Victorinox Messenger Bag)– I have had this bag for over 8 years. 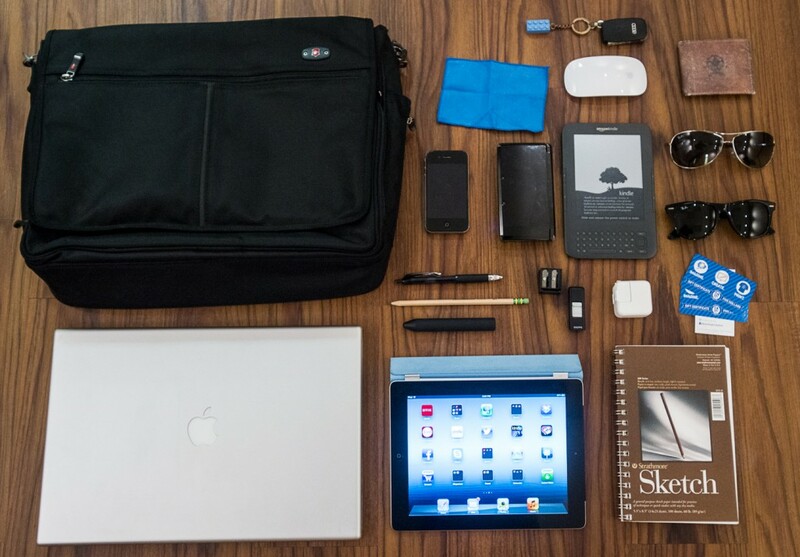 I use it as an everyday commuter bag but I also take in on trips when I travel as a carry-on on planes or in the car on road trips. It has held up pretty well through the years, the only causality is a washer that fell out from where the shoulder strap attaches. I just tied it on there to keep it secure, it adds character to the bag. It has plenty of room to carry all the stuff I need and then some. I recently found out it houses a travel pillow quite well! 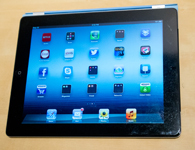 iPad– I use the iPad for many tasks including surfing the web, doing research, note taking, coming up with new ideas, reading the news or magazines, watching a movie on the go and even updating a blog post. There is just something more personal about “holding it in your hands” as opposed to a laptop! 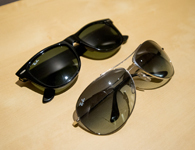 Its size is great too, lightweight and easy to travel with. 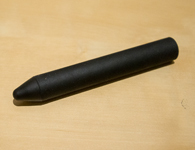 Cosmonaut stylus– This stylus created by the guys at Studio Neat works great with the iPad. If I have an idea and do not have a sketch book or a piece of paper handy I open up Adobe Ideas app and start sketching on my iPad using this useful tool. Even though it has the shape of a fat marker its accuracy is great! Studio neat also makes several other great products that we use at the shop. 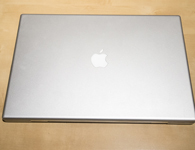 17 inch MacBook Pro– Having my laptop on me gives me the opportunity to get real work done in different locations. If artwork needs to be created I open up the laptop and get to work. The tasks I can’t do on my iPad get done on the laptop. My laptop is over 5 years old and still runs the same if not better then the day it was new. I purchased the 17 inch version because at the time it was my main computer and monitor. Soon after I invested in a 23 in Cinema Display and now I dock the laptop and use the external display when I get to the shop. If I had to do it again I would get a 15 inch to save the space and weight in my bag knowing that I have the external display to plug into on my desk. 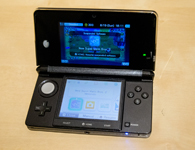 Nintendo 3DS– All work with no play is no fun. To take a small break from the everyday workday I grab my Nintendo 3DS and fire up some Mario. Stepping away from work for a few moments sometimes help you be more productive. A problem might arise that you stew over for hours, walk away and play some Mario and next thing you know the answer comes to you! Mario was the first video game I had a as child and Mario games bring me back to the time of being a free minded child! 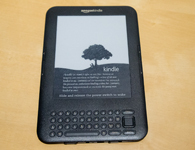 Amazon Kindle– Starting at a backlight computer screen all day can stress you out. I like to unwind with a book on the kindle. It’s e ink display is easy on the eyes and it’s compact size is just right. It is also nice to have a wide collection of books right in a compact device, no more lugging around a giant bag loaded with heavy books. 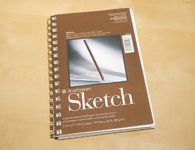 Sketch book– In a high tech world we forget the basics sometimes. Most of my ideas or work starts with good ol’ fashioned pencil and paper. Analog is a great place to begin, this takes out the technology barrier or paralysis that most of us suffer from when trying to get ideas out into the world. Ideas go right from your head on to the paper effortlessly and more efficiently! Save the fancy effects for after you have that great idea! 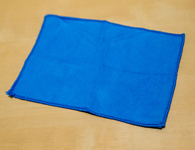 Cleaning rags– You always have to keep you electronics clean! They say your cell phone and other devices are dirtier then a public toilet. If I am going to be touching something all day it better be squeaky clean! 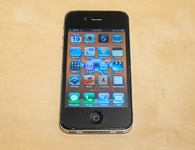 iPhone– The device most people have in their pocket or close by at all times. Just think about the feeling you get when you reach down in your pocket and you don’t feel your phone, you panic and your heart sinks, you start to think furiously about where you could have left it. We’ve all been there. Then you find it in the seat next to you! Phones have come a long a way in the past few years. You can do a lot of stuff from your phone. When I am away from the shop my phone helps me stay connected to things. 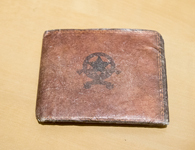 Paper wallet– I got one of these at a recent design conference. Good timing too because I had just accidentally washed my wallet and all it’s content two days before. This compact little guy is great for keeping the bare essentials in your pocket and you don’t end up looking like George Castanza with a giant bulge in your back pocket; that leads to back problems you know! 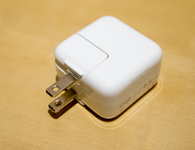 Chargers– Having chargers in your bag for travel is a must. These electronic devices we use everyday don’t run on solar power (at least not yet, but one day). Until that day comes you need these chargers with you to keep your digital life going! 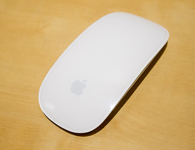 Magic mouse– yet another Apple product in my bag of everyday essentials. This peripheral is one of the best I’ve used, the multi touch features are great and are almost like an extension of your hand. Great for use with my laptop! 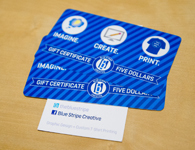 Business Cards and Gift certificates– Being in the print industry of course I carry business cards around with me at all times. You never know when you will meet someone who wants your card, be prepared! Along with my business card I carry around gift certificates that I like to hand out to people that are looking to use my company. I like to start by giving them a gift as a thank you for considering to use our services or products. 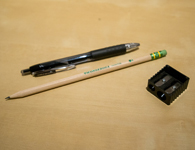 Pen and pencil (and sharpener) – These analog instruments are a must have, they make an easy transition for your thoughts to make it to paper with minimal interference, works well with the sketch book! A freshly sharpened pencil can be the beginning of something great. Keys – Located in the suburbs of New York you need a car to get around. The way I can tell these are my keys is by the Lego keychain. My love for design started at a young age when I would play with Lego sets for hours and hours. 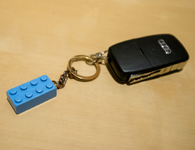 You would be amazed at how many people compliment this cool keychain! This Lego brick reminds me of where the design bug started. 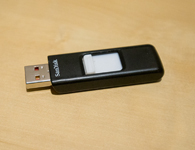 Flash Drive – If you are on the go and need to transfer files with no internet available, a flash drive is a good way to move those files. It is hard to believe there was a time where we used CDs to copy files. These flash drives seem to be getting smaller and smaller.